I've recently started making bread for myself, and it is one of the most nerve-wracking-yet-liberating experiences I've ever had in the kitchen. There are so many terrifying points of failure, all of which are immediately forgotten when you smell the deliciousness coming from your oven. Or, in some cases, from the grill. Outside of Tollhouse chocolate chips, I am not an accomplished baker. I am, however, a year-round griller. 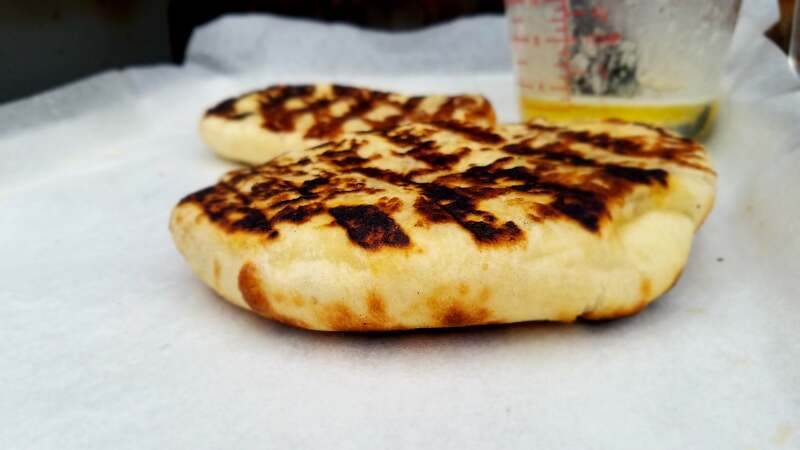 When a friend suggested to me that I try making naan on the grill, I wasn't instantly sold. 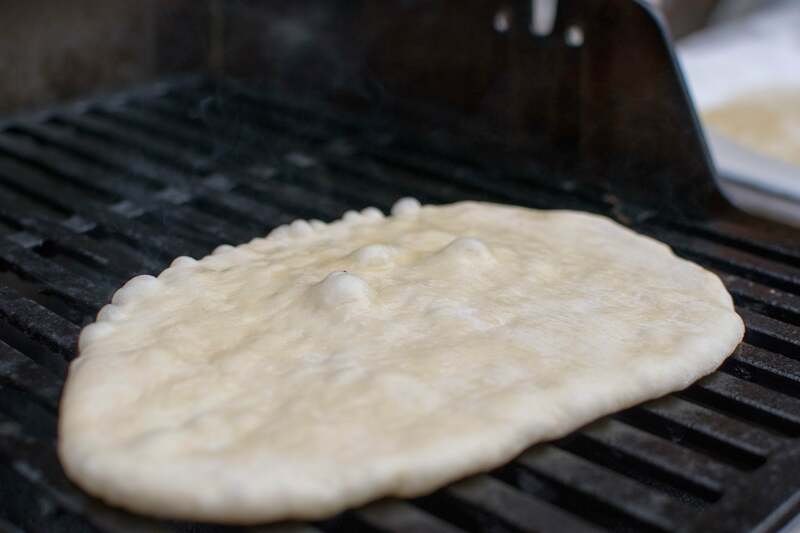 I was worried that the dough would slip through the grates, or that my measly Spirit E-310 couldn't output the raging heat of a tandoor oven or kettle grill. I was a fool. I once ate a butter sandwich. Why didn't I make this sooner? Prior to working on this, I'd only had store-bought naan. And to my mind, it was pretty good, but it wasn't worth $US5 ($6)-for-two-pieces good.. So I got to work, and tried a few different variations on the puffy buttery flatbread. For simplicity, I settled on Serious' Eats offering, with Nigella Lawson's coming in a very close second. 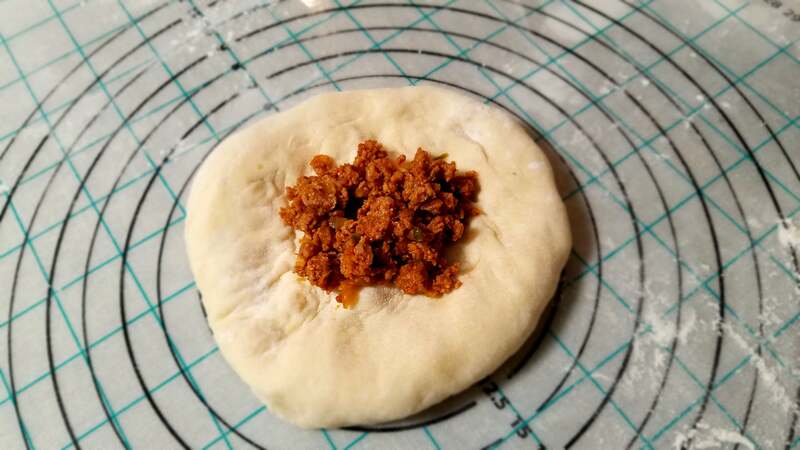 Though I wasn't able to stretch the dough to the target dimensions listed in SE's recipe, I ended up with delicious smaller versions — perfect for dips or spreads, folded sandwiches or eating three of them right off the grill. 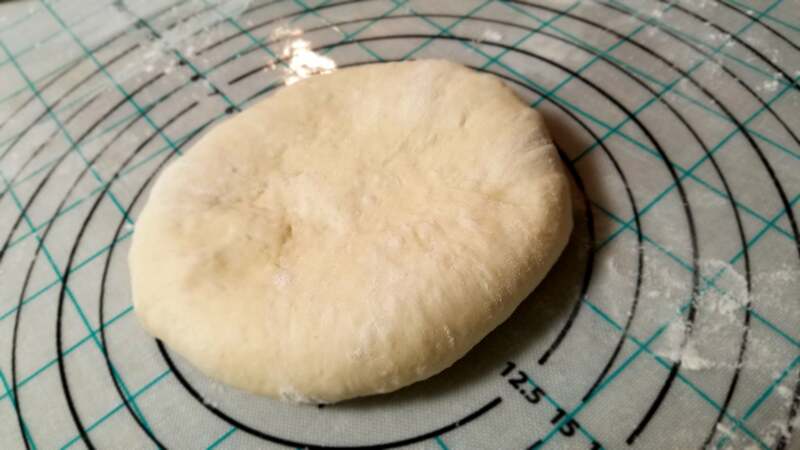 Working with two to three balls of dough at a time, stretch with your hands into an oblong roughly 25cm long and 15cm across (you can use a rolling pin for this as well). Once you have two or three pieces stretched, lay them out on the grill above the coals. Cook without moving until bottom side is charred in spots and light golden brown. Flip with a large spatula, pizza peel, or with tongs and cook until second side is charred and browned. 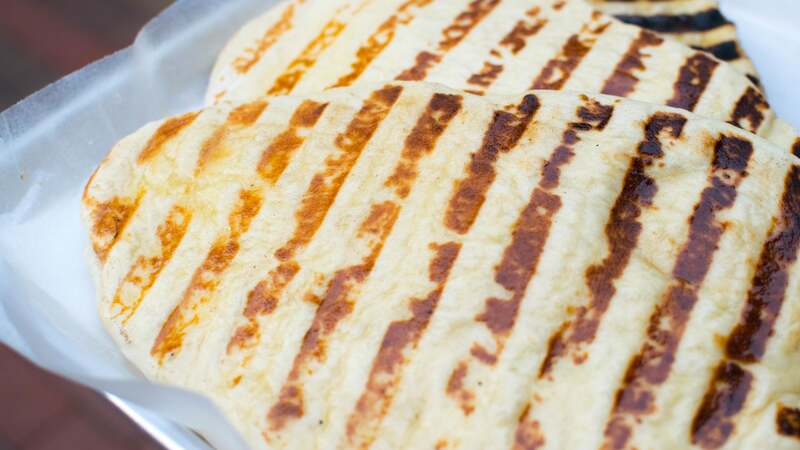 Remove naan from the grill and immediately brush with melted butter. Transfer the naan to a large plate and cover it with a clean dish towel while you cook the remaining bread. I am but a one person, and despite my insatiable love of carbohydrates, this is a lot for me. So I asked the man himself if this could be frozen — and to my delight, they can. before. Do the second rise in conjunction with defrosting. Not only can you make this amazing bread, but with planning, you can make it and have it any time you want. But y'know what's better than bread? Stuffed bread. Oh yeah. Throw out those Ham &amp; Cheddar two-packs I know you're guilty of purchasing. Naan can be stuffed with anything you can imagine. I really wanted to try this garlic scape-stuffed recipe, but scape season has long since passed us by. We're in September, and I wanted something a bit more hearty, warm and comforting. 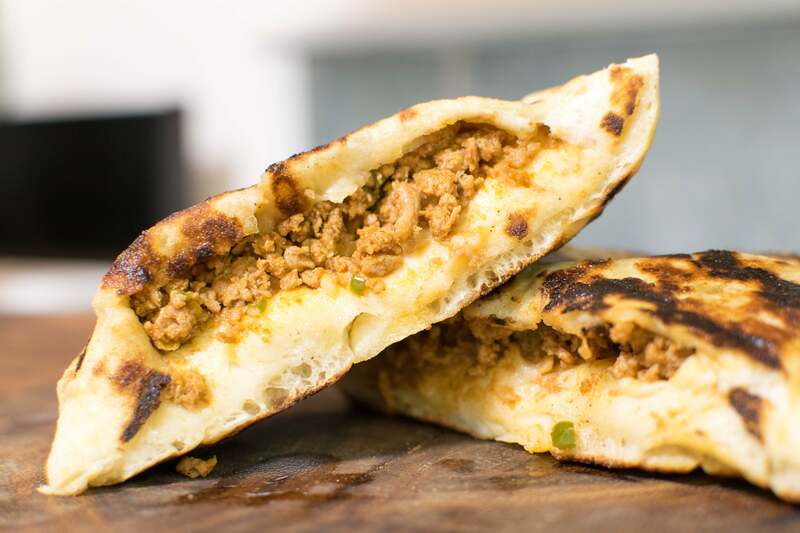 Get out the ground lamb: it's time for naan pockets. 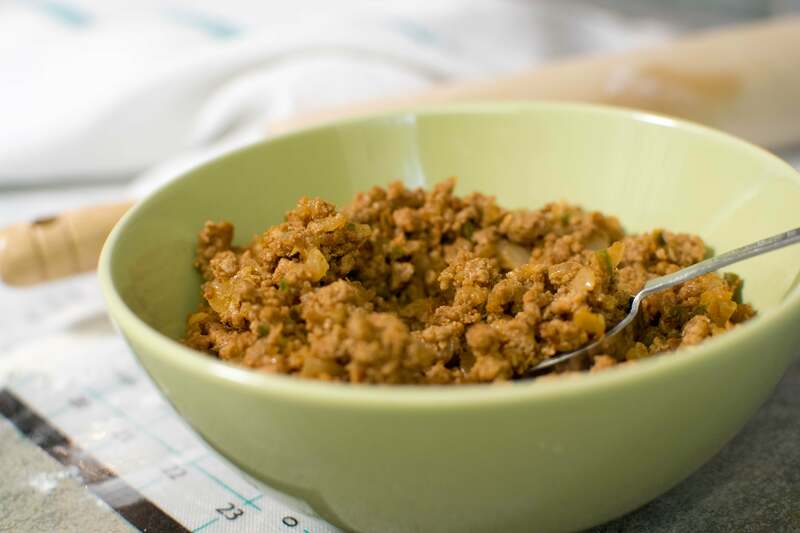 Keema is a fairly common filling, and basically everything I was looking for. At first glance, I thought "Oh goodness, this is basically Shepherd's Pie filling with hugely boosted flavour." And it did not disappoint. Using the same naan recipe as before, divide the dough into 6 larger pieces instead of 12. During the second rise, add the oil to a 10" skillet over medium-high heat. Once shimmering, add the onion and pepper, sauteing until the onion is translucent. Add the garlic, tomato paste and spices, cooking until fragrant — about 30 seconds. Crumble the lamb (or ground meat of your choosing) into the pan, and season with salt and pepper. As the lamb cooks, break it down into the smallest pieces you possibly can. This will ensure a more even and "flatbread" in the finished product. I've had good results with quickly pulsing finished and cooled ground meats in a food processor, and this was no exception. Whatever route you choose, once the filling has finished cooking, remove it to a bowl to cool. 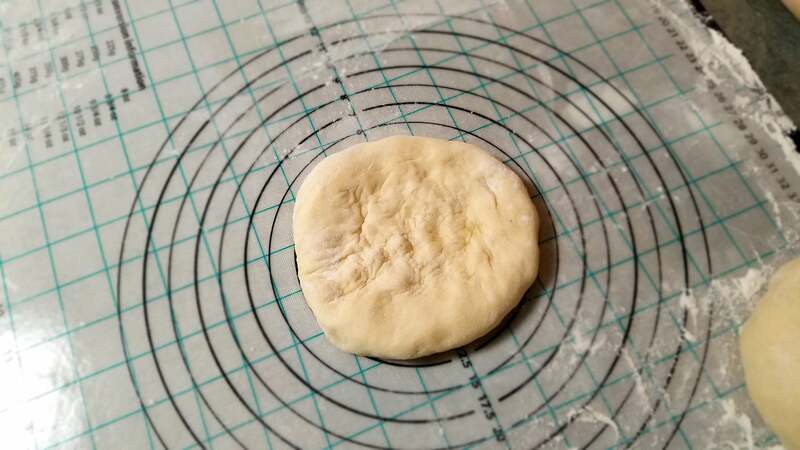 On a well floured surface, gently roll the larger naan balls out into small circles (or shapes that vaguely resemble them). 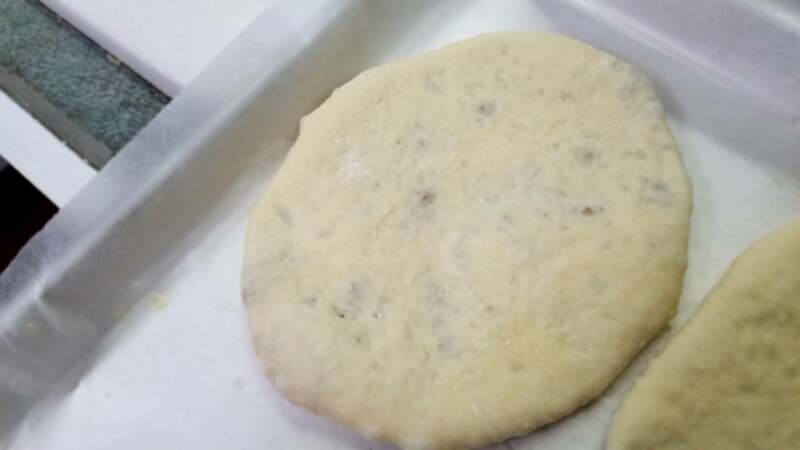 Scoop a heaping tablespoon of the now cooled filling into the center of each piece, and pinch edges of the dough shut, as shown below. 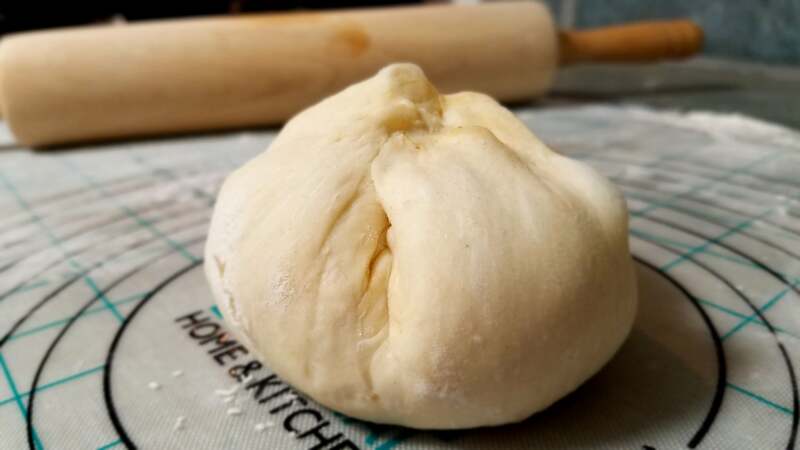 Flip the now filled dough ball over, and use your hands to form it back into a now filled ball. 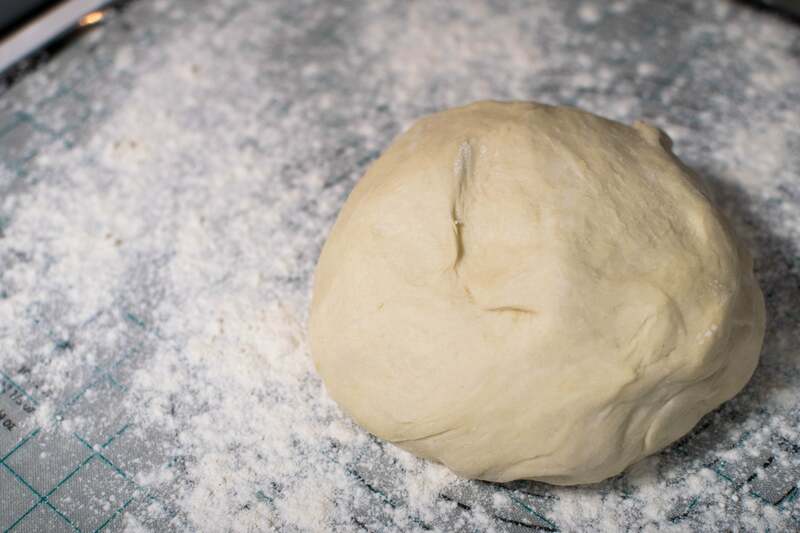 Using a rolling pin and the gentlest touch possible, roll the dough into a familiar flatbread shape. Don't be aggressive or go too thin here, we want to keep the filling inside after all. 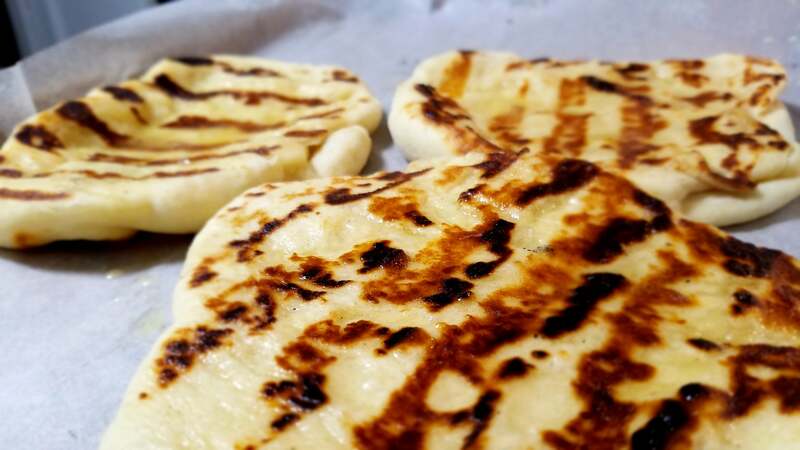 As before, grill your now filled naan over high heat for 1-2 minutes per side, brush with butter, and serve immediately. 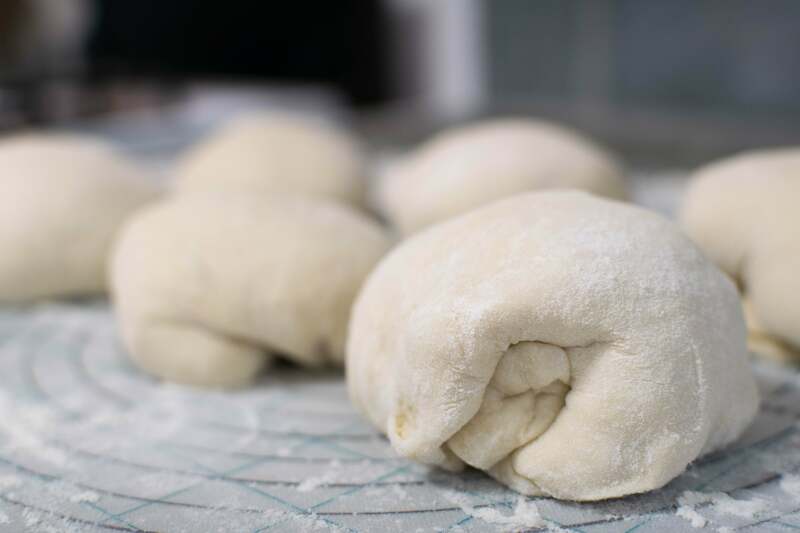 Like the dough, these can be frozen as well — after you flatten the stuffed ball, a piece of parchment paper on a half baking sheet will help to prevent sticking. To bring them back, simply thaw in the refrigerator before grilling. Now that you're armed with the knowledge of grillable stuffed breads, there's unlimited potential for sweet and savoury combinations.